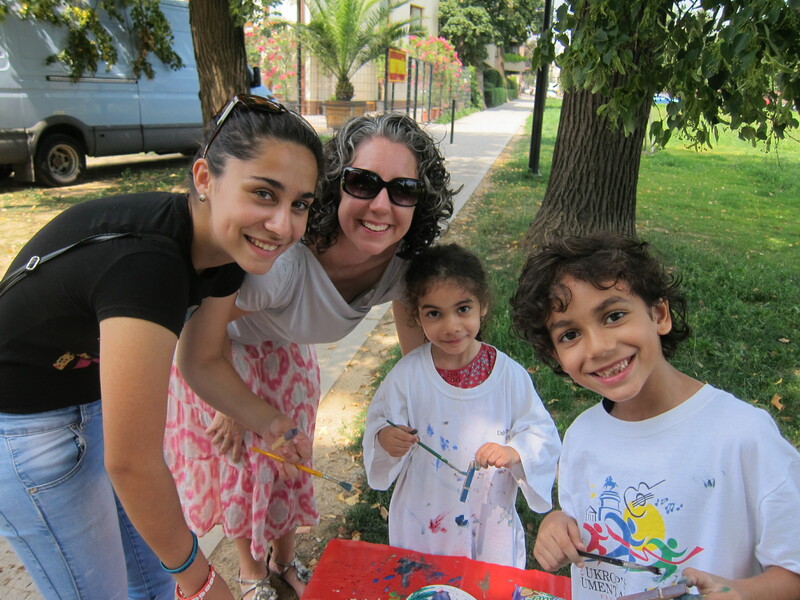 During Kids Worship a few Sundays ago, Tanya and Madalyn helped make a craft project in the park with the church kids from Devleskero Kher. Our friend Laura (left) helped out, too. The kids made crafts that will later be distributed as a tool for evangelism and ministry. We’re continually surprised at the different ways we’ve been able to minister alongside our Roma church family!